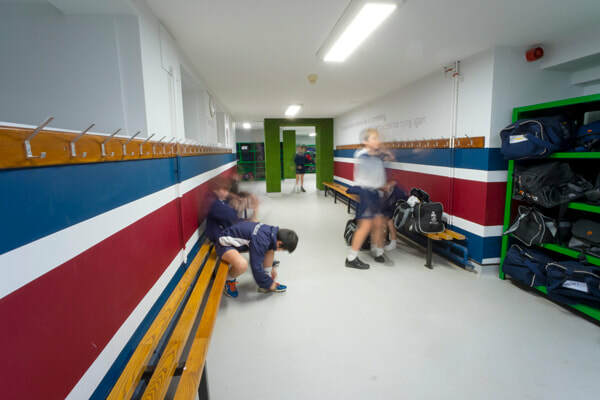 The boys changing rooms were a dark and dank lower ground space – in desperate need of renovation. 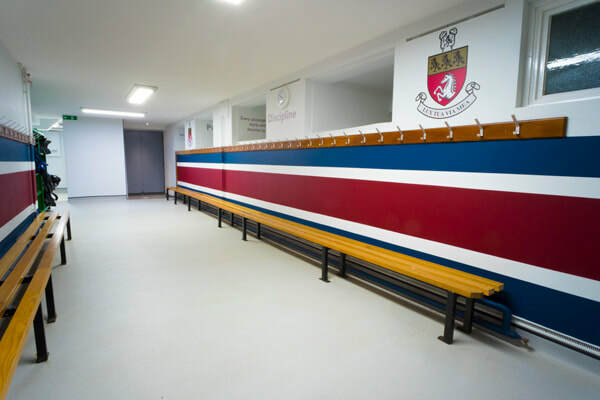 The brief was very clear – to make it a lighter, brighter changing room! 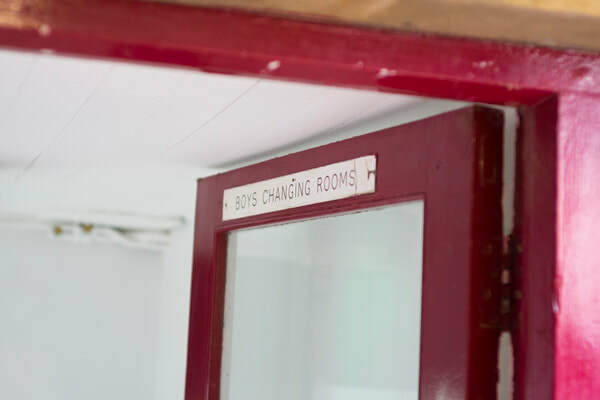 The space needed to be opened up to allow staff visibility when supervising boys – and prevent any corners where mischief could take place unseen! 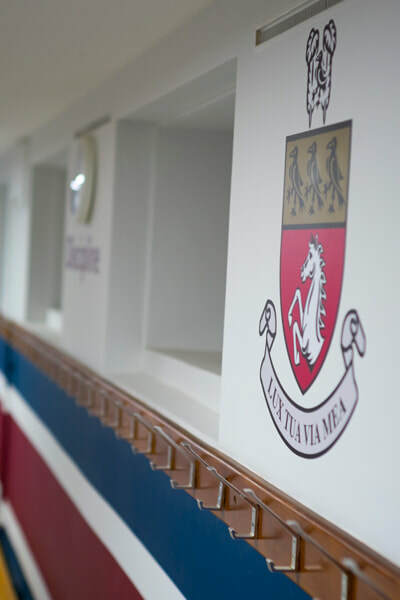 There was also a request to use the school colours of dark navy blue & burgundy wine red. Storage levels were about right – but some pieces needed updating. The first step was for the contractors to fix the damp issues and improve ventilation. 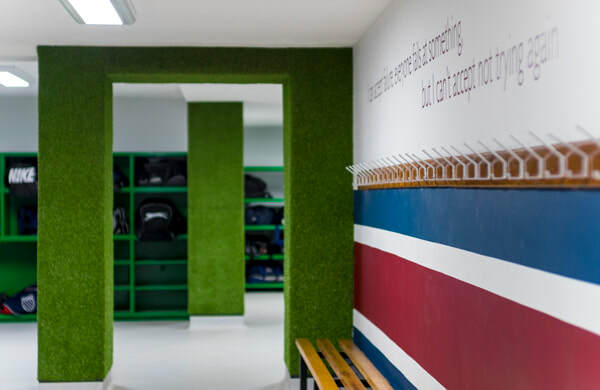 The whole space was lightened and brightened by using a pale wall colour, a hard-wearing but lighter coloured flooring and most importantly by improving the overhead lighting. Slim-line LED light panels were used – adding light to the space without encroaching on the all ready low ceilings. 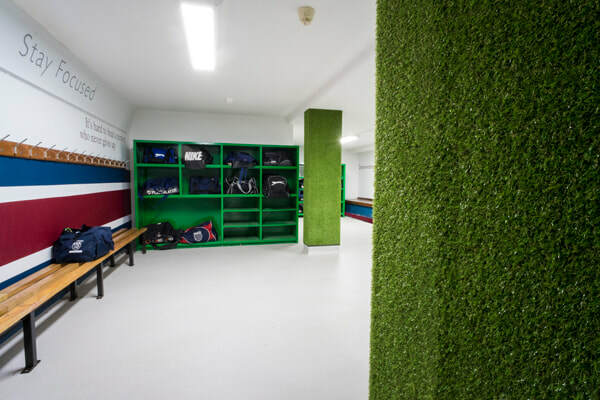 With some large structural pillars remaining in place after the space was opened up – I decided to wrap these in artificial grass. 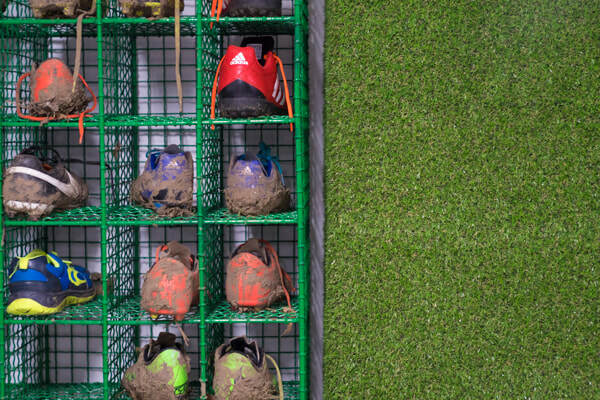 This adds fun and texture – and the bright green is a great, energising accent colour. Continuing the theme, the storage furniture that was being kept was sprayed bright green. 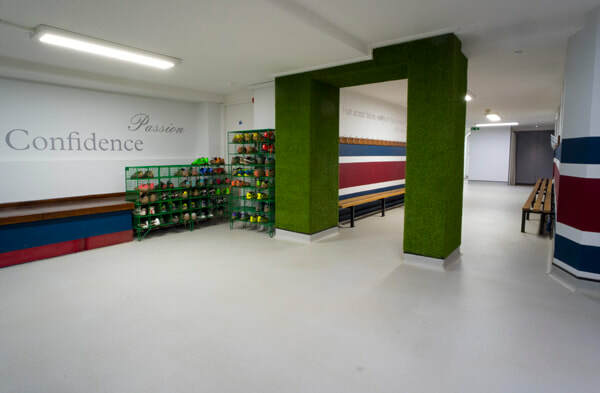 The school colours were painted in stripes along the walls - which I designed to mimic the pattern of the school socks! 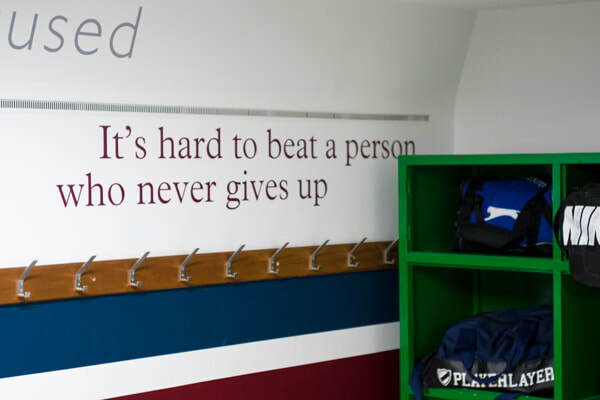 At our first briefing I noticed lots of signs and notices with motivational phrases stuck up around the changing room. 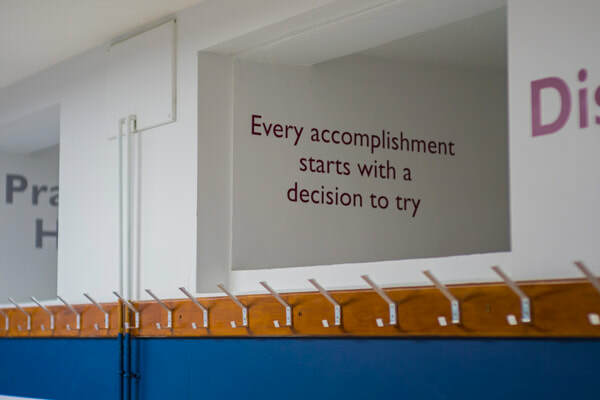 I worked with the games master on phrases and quotes that he would like to see in the space to motivate the boys. 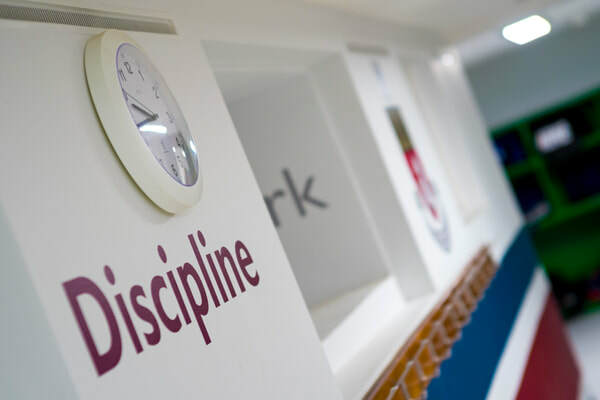 This resulted in a set of bespoke typography wall graphics, as well as the school shield & motto, which we used on the walls throughout the space. 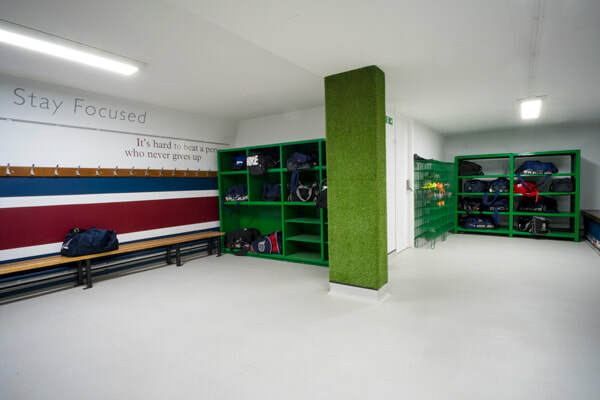 It is now a bright and energised changing room for the boys and easier for the staff to supervise.